Digital breast tomosynthesis (DBT) can be used to improve breast cancer detection and reduce the number of patients who are called back for second screenings. New research conducted at the Hospital of the University of Pennsylvania in Philadelphia has shown that DBT technology could be more effective than conventional mammography. In some cases, standard screenings uncover "false-positive findings", or in other words, possible defects that are eventually confirmed as non-cancerous. This results in higher recall rates. The scientists discovered the average recall rate fell from 10.4 per cent of patients to 8.78 per cent when DBT was used. DBT is a relatively new technology and is currently used for supplemental screening purposes and is not viewed as a standalone treatment in its own right. However, this could all change in light of these latest findings – which were presented at the recent annual meeting of the Radiological Society of North America. Unlike standard mammography, DBT allows medical experts to create a 3D image of the breast tissue, which means they can get a more accurate picture. 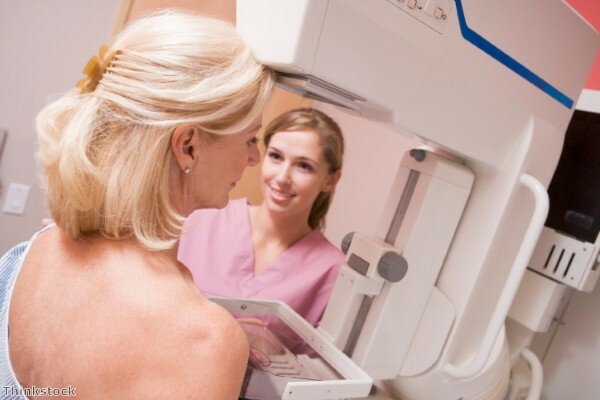 Emily Conant – lead author of the study – confirmed that images from 15,633 women who received DBT treatment were compared with those of 10,753 people who underwent digital mammography the year before. Aside from the reduced recalls, the research team found the cancer detection rate went up from 4.28 per 1,000 patients to 5.25. "Our study showed that we reduced our callback rate and increased our cancer detection rate. The degree to which these rates were affected varied by radiologist. But importantly, the ratio of callback to cancer detection rate improved significantly for our radiologists," Ms Conant commented. She also believes this is the most exciting improvement to mammography in her career. With approximately 50,000 women and 400 men being diagnosed with breast cancer in the UK each year, according to Breast Cancer Campaign statistics, this kind of technology could have a hugely positive impact. ⇐ What can HR do to lower absence rates?